The most important part of MacRobert's research started in the middle of the 1930s when he discovered the generalised exponential, E-function. From 1938 onwards MacRobert produced a whole series of works on the properties of the E-function and integrals with E-functions. 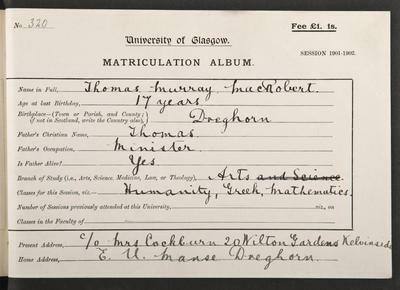 Beginning with work on a treatise on the functions of a complex variable published in 1917, Thomas MacRobert, made many investigations on the properties of the special functions of mathematics and wrote over 70 papers on the subject. Much of his work was related to the hypergeometric function and the E-function. He also wrote on spherical harmonics, Bessel functions; and infinite series. 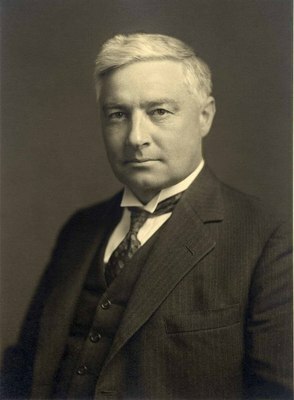 Thomas Murray MacRobert . The MacTutor History of Mathematics archive page. Glasgow University College Courant. 1954. 7: 50 and 1963. 15: 128. MacRobert, T. M. 1937-38. Induction proofs of the relations between certain asymptotic expansions and corresponding generalised hypergeometric series. Proceedings of Royal Society of Edinburgh. 58: 1-13. MacRobert, T. M. 1954. Functions of a complex variable, 4th ed.London: Macmillan. Formulation of the E-function and the discovery of its fundamental properties. World Changing Project, "Discovery of the E-function," in University of Glasgow World Changing (University of Glasgow, 2010); http://www.worldchanging.glasgow.ac.uk/article/?id=62 (accessed April 26, 2019). World Changing Project. "Discovery of the E-function." In University of Glasgow World Changing. University of Glasgow, 2010. http://www.worldchanging.glasgow.ac.uk/article/?id=62 (accessed April 26, 2019). World Changing Project. "Discovery of the E-function." University of Glasgow World Changing. University of Glasgow, 2010. 26 April 2019 <http://www.worldchanging.glasgow.ac.uk/article/?id=62>.